How can I change the Deals checklist? There is a checklist attached to every Deal in MCA Suite so underwriters and agents can check off standard documents required to fund the deal. 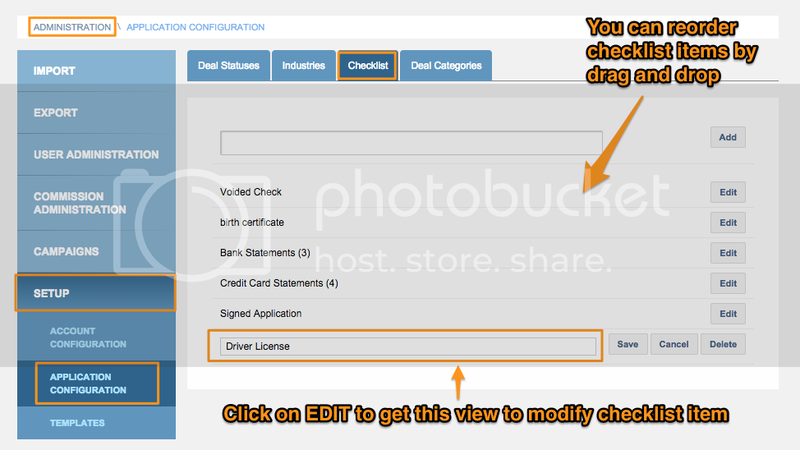 To add, change or remove items from the checklist, go to the Administration > Setup > Application Configuration page and you will be able to add, delete or modify a checklist item. You can also reorder the checklist by dragging a checklist item and placing it to where you wish it to be shown on the drop down list.